It’s not quite cherry blossom season yet, but my old blog post for the Sakura Frappuccino has been getting crazy attention recently. Today was so warm that it was easy to dream of cherry blossoms, so I thought I’d post this little painting of cherry blossoms I painted for a friend. This is actually only half of the finished piece, so hopefully I’ll be able to reveal the rest of the painting soon! This entry was posted in Art, Japan and tagged Art, Cherry Blossoms, I painted this, illustration, Japan, Japanese, my art, Sakura, watercolor, watercolour. Bookmark the permalink. 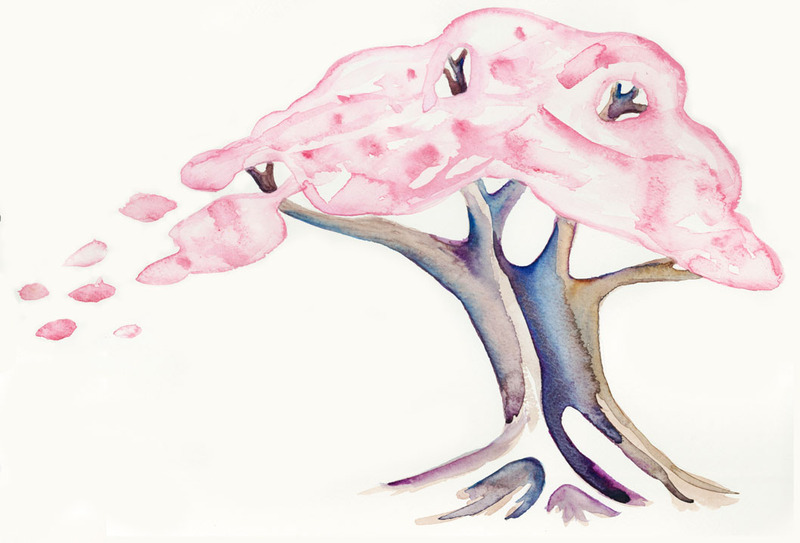 i enjoy the abstract take on the cherry blossom form. looking forward to seeing the finished piece!